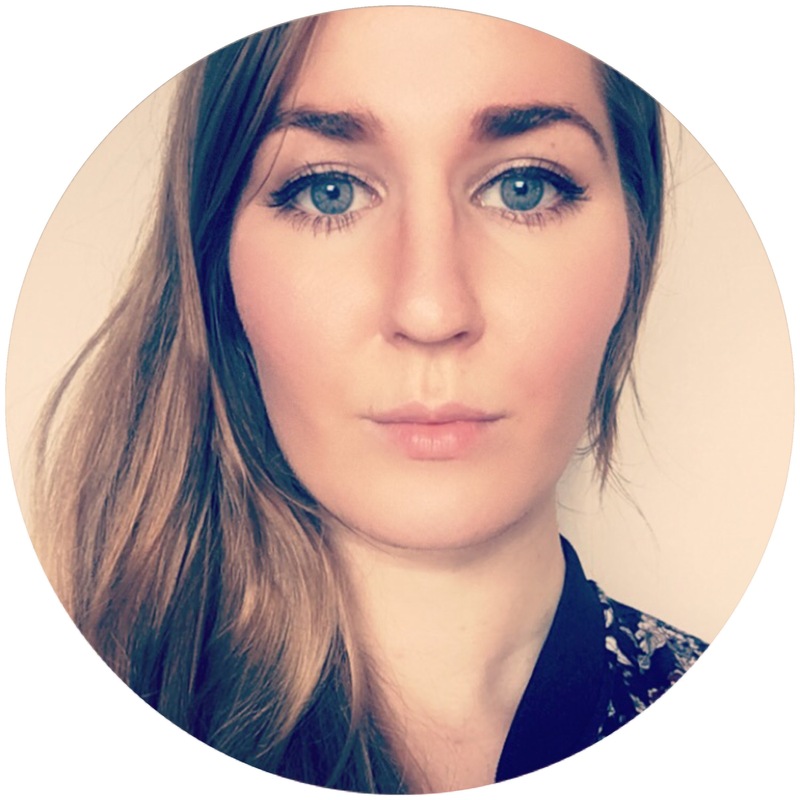 About a week ago I got some new products from BeautyBigBang to test and review. I really liked the iridescent flakes I got from them last time, so this time I wanted to try some of their opaque fakes along with some unicorn powder and confetti glitter. 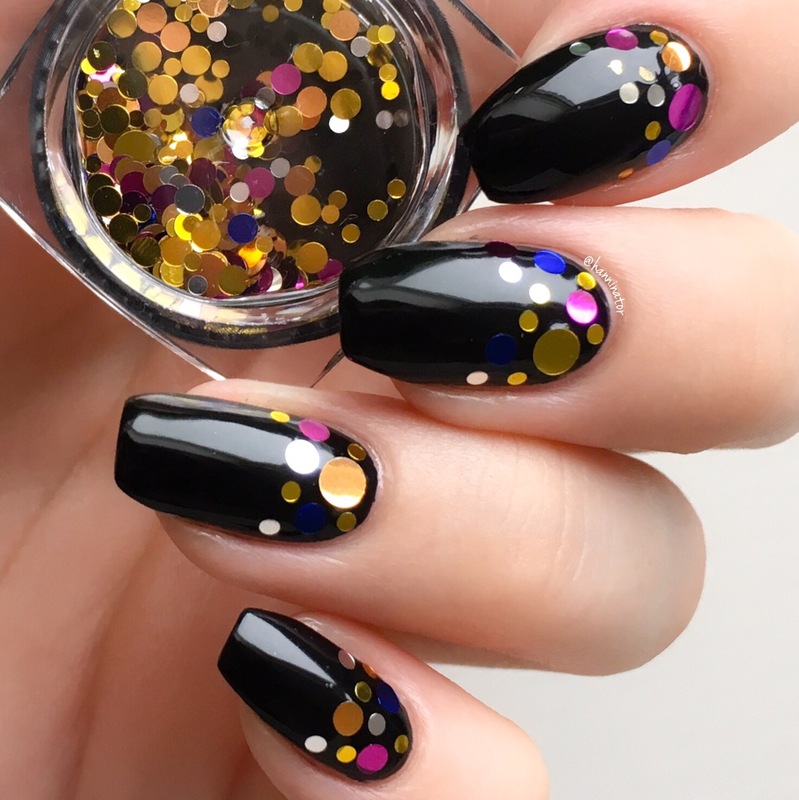 This confetti is called J1329-3C and it will make your nails ready for a party in no time! My favorites are the blue and the pink ones. I think this design looks pretty fancy and the best part is that it was so easy to make! 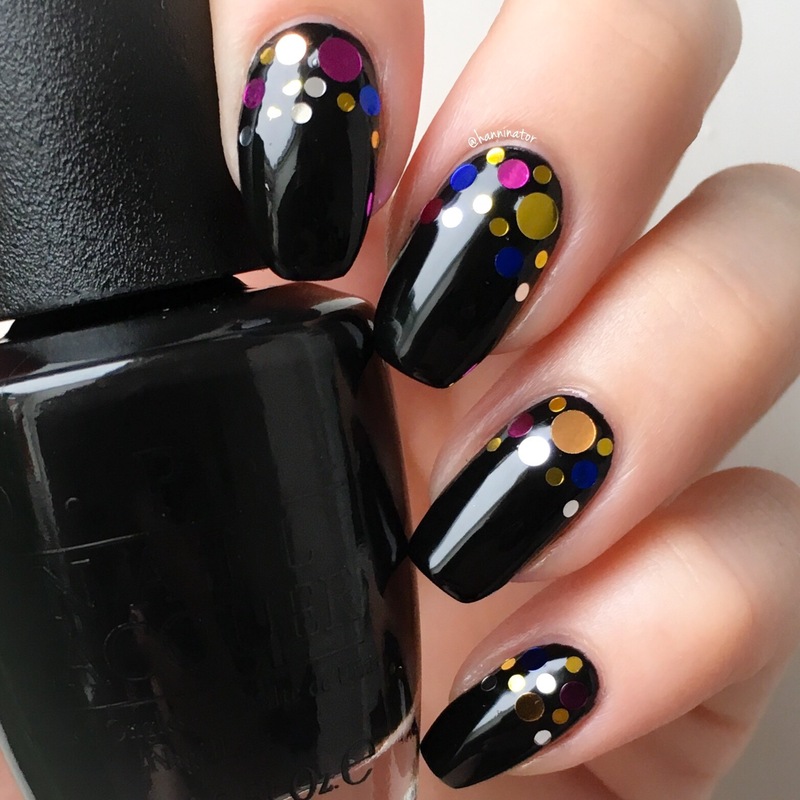 I just placed the confetti while my base color was still wet and then applied top coat to seal them in and prevent them from falling off. 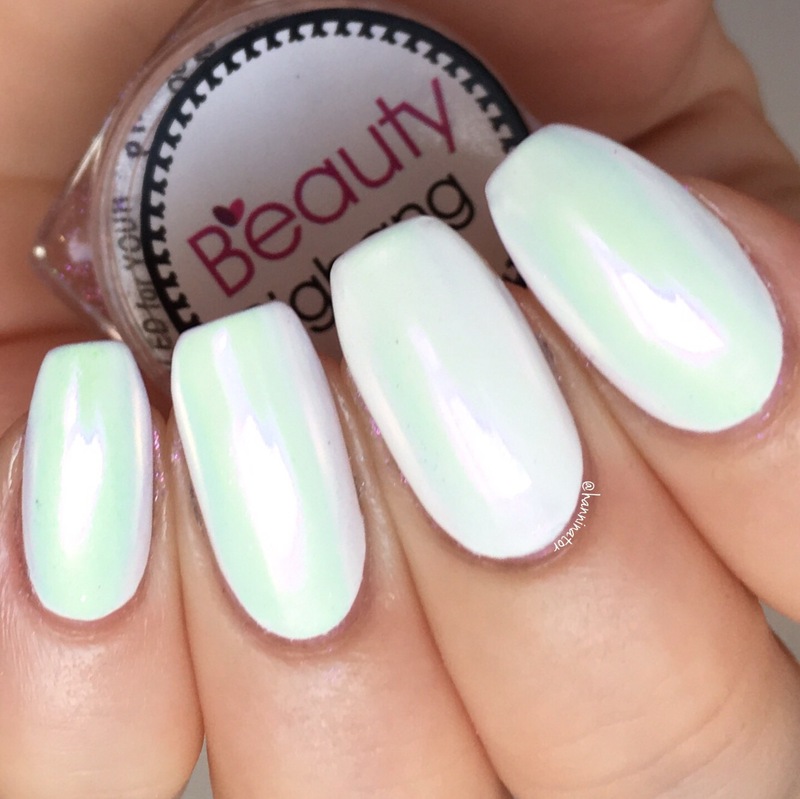 How beautiful is this unicorn powder called J2854-3C!? 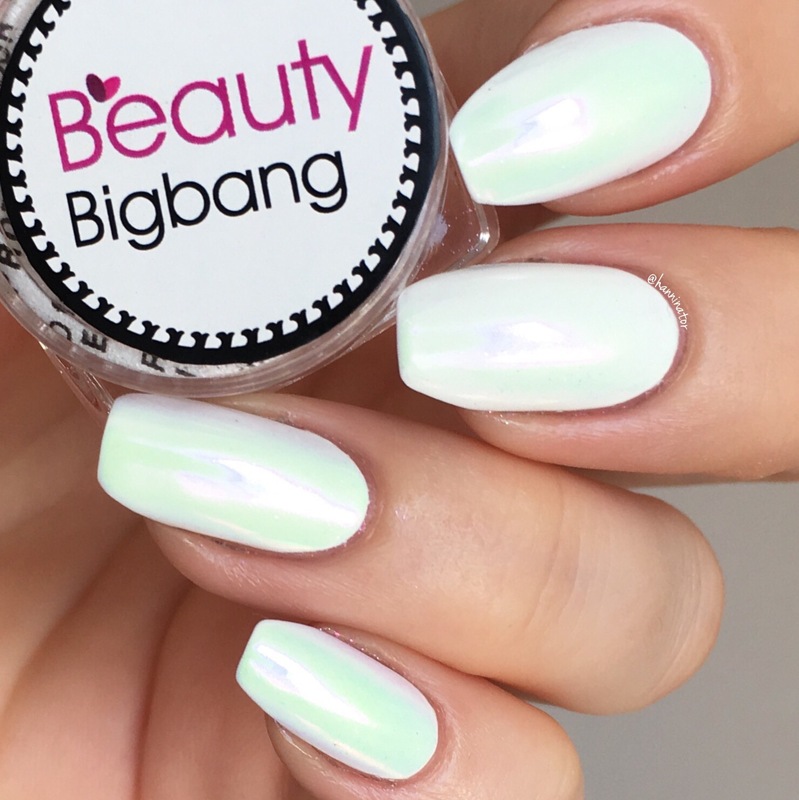 I applied the powder over white regular nail polish and it gives it a cool lime green tone. The powder is very fine and easy to apply, and as you see the result is super shiny! I can’t wait to try it over more colors. These purple chameleon flakes are called J2106-1C. The flakes are very fine, so it was super easy to get full coverage. Though being so fine also meant that they created a bit of a mess. To clean up any flakes from my desk I just use some regular tape or a lint roller, and you just have to wash your hands to get them off your fingers. I have to say that the mess is worth it, just look how shiny and shifty they are! 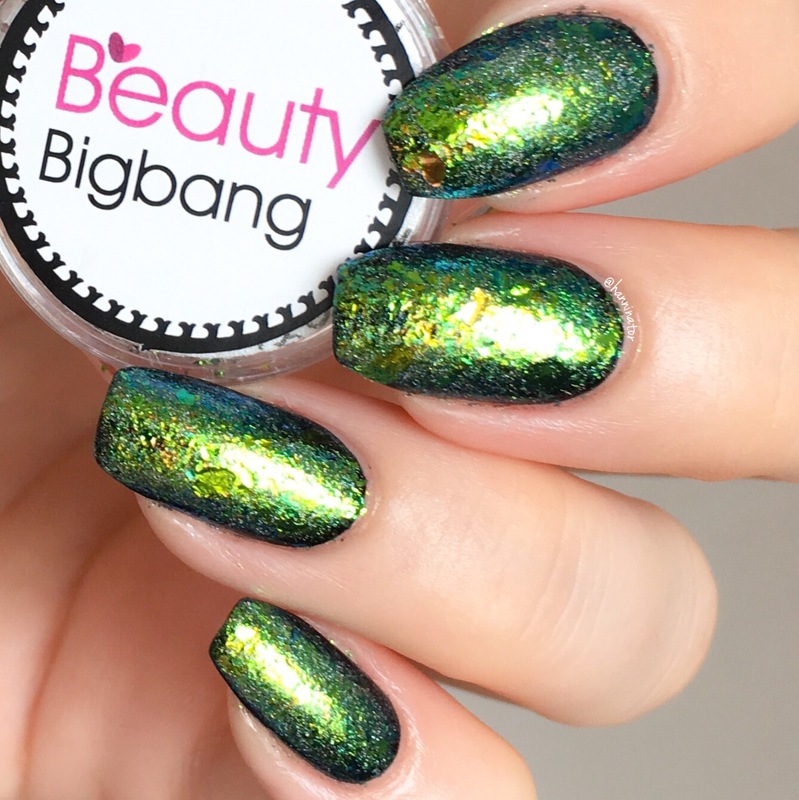 The last product I received are these chameleon holo flakes called J2419-3C. 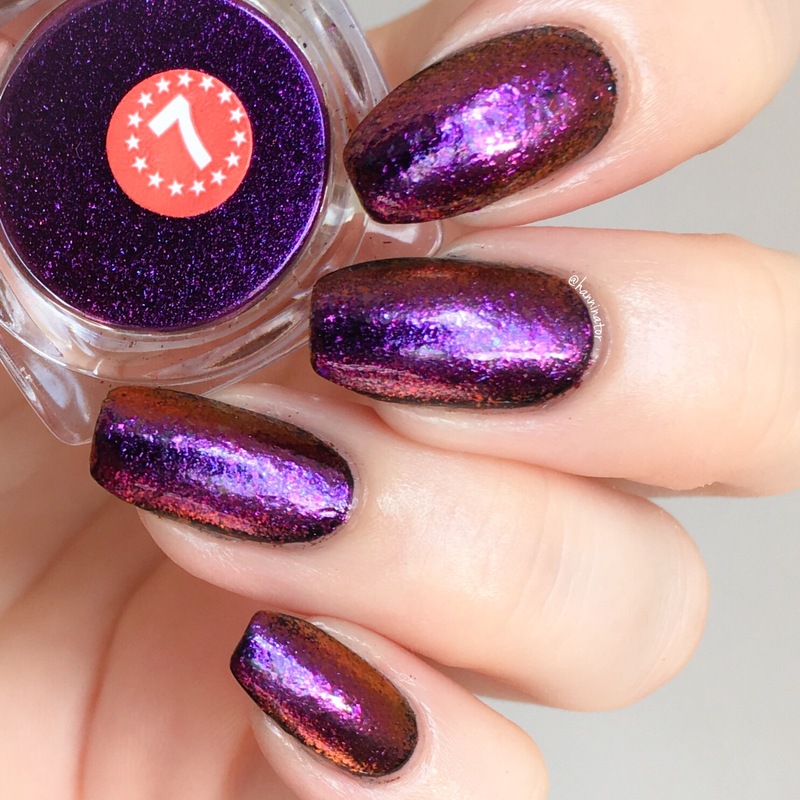 As the name indicates these flakes are holo, but unfortunately the sun was not out when I took these pictures so you can’t see the holo. Even if you can’t see the holo these flakes are pretty amazing anyway, they shift between gold, green and blue and are so gorgeous! 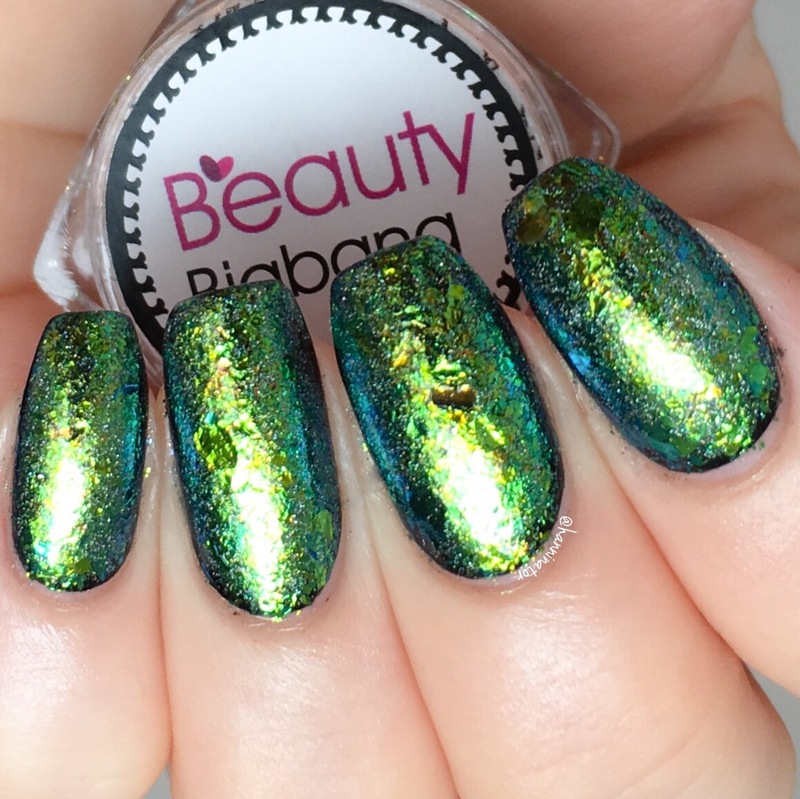 Use my code HANNA for 10% off all products from beautybigbang.com.